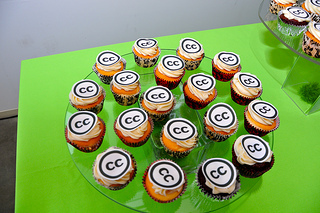 Creative Commons (CC) is a way for creators to make ordinarily copyrighted work (books, images, etc.) available to others. How do I know if something has a CC license? What does the license allow me to do with the work (book, image, etc.)? You can usually find the CC license on the page where you found the work. When you click on the CC image license it will indicate what you are allowed to do. Common license terms are that you are allowed to share and adapt/modify the work, as long as you provide attribution (i.e. cite). Do I still need to cite something that has a CC license? Yes, you always need to credit other people's work. In most cases, the CC license will specify that you need to "provide attribution" (aka cite), but even when the CC license does not specify that you must provide attribution, Seneca Libraries recommends that you still do so. Note to Students: Seek clarification from your instructor on how they would like you to cite and which rules to follow. When creating a digital assignment, the Creative Commons formatting rules may be all that is required by your instructor. When writing an APA or MLA essay, your instructor may want you to follow APA or MLA guidelines for citing the CC licensed work, with the added Creative Commons license information. Note that there are no current APA or MLA instructions for citing CC licensed works. Please check with your instructor for guidance. Here is a photo. Following it is an ideal example of how people might attribute it.